Courtesy of Atlas Residential Realty, LLC, Julie Murphy. Welcome home to this charming 1-story, 3 bedroom home located in the Wildhorse Vista subdivision. Enjoy time with your family & friends around the cozy fire place or cooking out on the covered Patio. This open floor plan with high ceilings provides plenty of space for the entire family. Conveniently located near 1604, Bandera Rd, and Culebra Rd. HOA name: WILDHORSE VISTA HOMEOWNERS ASSOCIATION, INC. Please, send me more information on this property: MLS# 1377146 – $199,900 – 9150 Mare Hunt, San Antonio, TX 78254. 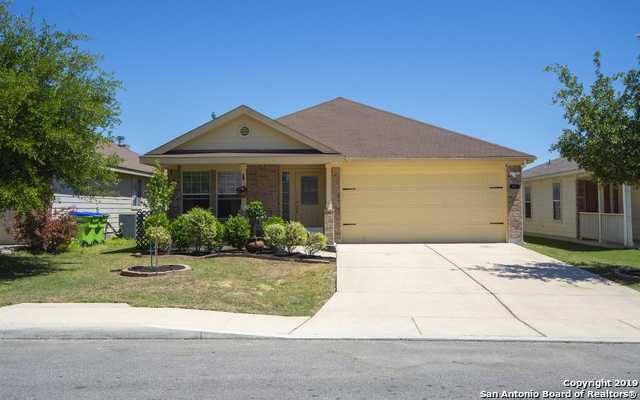 I would like to schedule a private showing for this property: MLS# 1377146 – $199,900 – 9150 Mare Hunt, San Antonio, TX 78254.